Additive Manufacturing [AM] is featured in the EPSRC Impact Report 2016-17 that looks at how its "funding maintains the UK's leadership in engineering and physical sciences research." AM is included in the section of the Delivery Plan titled Productive nation: Lasers in manufacturing. The case study used relates to a project involving MAPP researchers. Trent XWB-97 flying test bed engine front bearing housing. Showing 3d printed core inlet vane assembly. 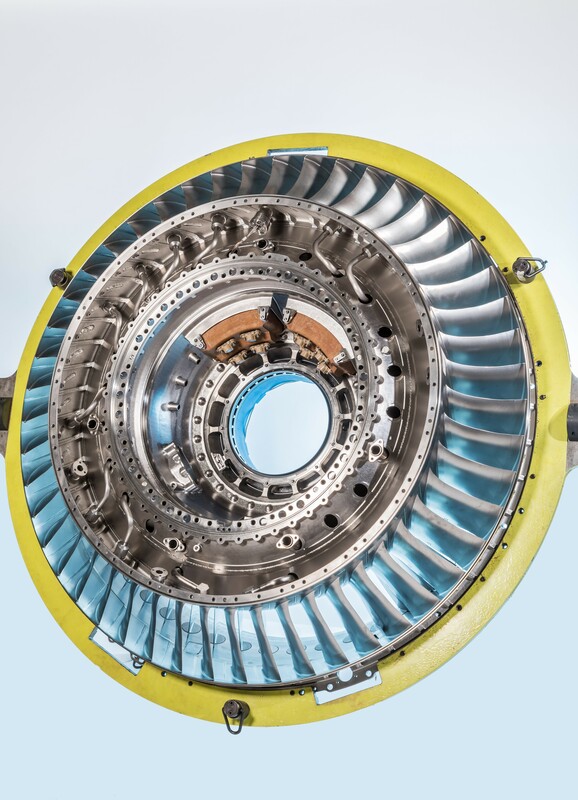 The report states: "EPSRC-funded research enabled researchers at the University of Sheffield, working closely with partners Rolls-Royce, to fabricate a 1.5 meter-diameter titanium front bearing housing for the Rolls-Royce Trent XWB-97 engine, the power-plant for the Airbus A380. This project had early support from EPSRC and follow-on funding from Innovate UK and the Manufacturing Technology Centre in Ansty. "This was the first time additive layer manufacturing was used to produce such a significant loadbearing component, instead of the conventional processes of casting or forging. "When the Airbus A380 flying testbed aircraft, powered by Trent XWB-97, completed its test flight in 2015, it marked the first flight of the world’s largest 3D printed aero engine structure. Rolls-Royce is now developing this technology which has the potential to improve manufacturing and product functionality in terms of design optimisation, cost and speed." MAPP Director Professor Iain Todd said: “This is a great example of how academics can work with industrial partners like Rolls-Royce and the HVM Catapult Centres to translate our ground-breaking early stage research to industrial practice. “The fundamental research work we conduct gives a strong underpinning to development activities that are closer to application, providing insights into the process that increase confidence in its capabilities. That the activity we initiated here has facilitated this huge step forward in additive manufacture is a wonderful thing to see."